We've put together this 5G explainer to fill you in on exactly what 5G means and which 5G phones you can look forward to using in the next year or so. The good news is it's all good news – data speeds are about to get faster and more reliable as the 5G tech rolls out. 5G explained: what is 5G? 5G is the latest wireless transmission standard being looked at by the International Telecommunication Union or ITU and other industry bodies – it's the successor to 4G or LTE, which succeeded 3G (can you spot the pattern?). Once phones and the network infrastructure have been made 5G-capable, we can all start enjoying faster upload and download speeds. How much faster? It depends on your device, location, and network, but improvements of around 15-50 percent should be possible day to day in the real world. Hypothetically, in lab conditions, 5G can improve on 4G many more times than that, so there's room to grow: imagine full 4K movies downloading in a minute or two, and you're in the right area. 5G isn't just about speed though: about being able to watch 4K Netflix on the train home. It's also about capacity, and being able to get a stronger signal in crowded areas. In other words, you shouldn't lose connection at a crowded sports stadium or a music festival. Many more devices will be able to stay online all the time, which is where smart home kit and self-driving cars come into the picture. We should also see reduced latency and reduced power draw (think longer battery life) in devices with 5G is enabled. Further down the line 5G might even replace Wi-Fi – if it proves fast and reliable enough, you won't need a personal router, because the signal coming from the closest cell tower will be enough to provide high-speed internet access to all the devices in your home. 5G explained: how does 5G work? Cellular data gets transmitted via radio waves, and the shorter the frequency of these waves, the more data they can carry. 5G relies on millimetre wave (mmWave) technology, which means – you've guessed it – very compact radio waves. That means a lot of data can be transmitted very quickly. As an added bonus, the hardware devices required to transmit these waves can be smaller and less powerful, which is why the Internet of Things should benefit as well: 5G antennas and modems shouldn't take up much room inside gadgets or put too many demands on energy use either. There are downsides – the faster 5G millimetre wave technology doesn't have the same range as you get with the lower frequency radio waves, and has more trouble with obstacles (like walls) as well. These are some of the problems manufacturers and networks will have to overcome for a 5G rollout. The good news is that there does seem to be plenty of momentum in the industry to get everyone up to 5G speeds in a reasonable timescale. Consumers are likely to demand the tech as early as possible, which means there's money to be made, and that always helps to give companies a little extra incentive. As we mentioned, 5G can work with smaller pieces of equipment, and that means networks don't necessarily have to rip up and replace existing cell towers. 5G kit can be installed in existing infrastructure, which should also speed up the roll out. 5G explained: when can I get 5G? Where can I get 5G? The big networks in the UK and the US have committed to starting to roll out 5G infrastructure in 2019 (some early testing has already taken place). The rest of the world won't be far behind in terms of 5G upgrades. 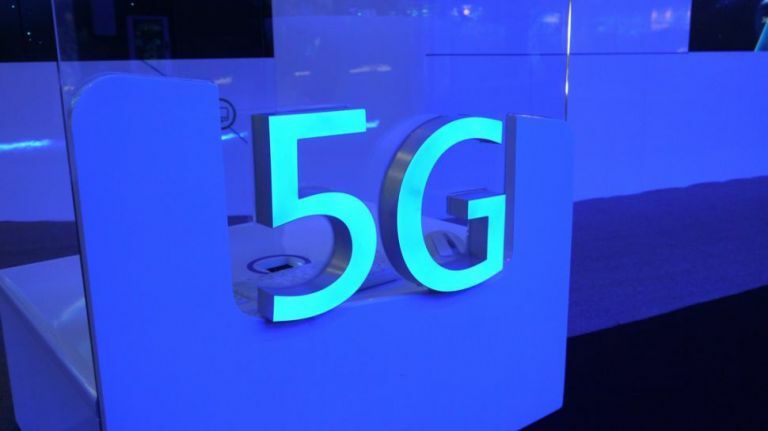 Having blanket 5G coverage everywhere you go is of course going to take longer, and you will need a 5G-capable device to get the best speeds (though 5G networks will of course still work fine with non-5G phones – just at a slower pace). In recent weeks and months we've seen numerous phone makers commit to releasing a 5G handset during the course of 2019: Samsung, Huawei, OnePlus and Sony should all have 5G-ready phones out within the next 12 months. In the case of Apple and the iPhone, you're probably going to have to wait until 2020. As with any new technology, 5G phones and other devices are going to be expensive to begin with, and if there's no 5G in your neck of the woods you'd be right to think it a waste of cash for the time being. If you have the budget and want to future-proof your phone though, it's worth investing in. The exact details of 5G – speeds, availability, and so on – will vary depending on region. Watch out for companies trying to sell you 5G when it's not actually 5G: as with most tech terms (see 4K and 4G), the small print is important, so make sure you're getting the full 5G experience before buying.